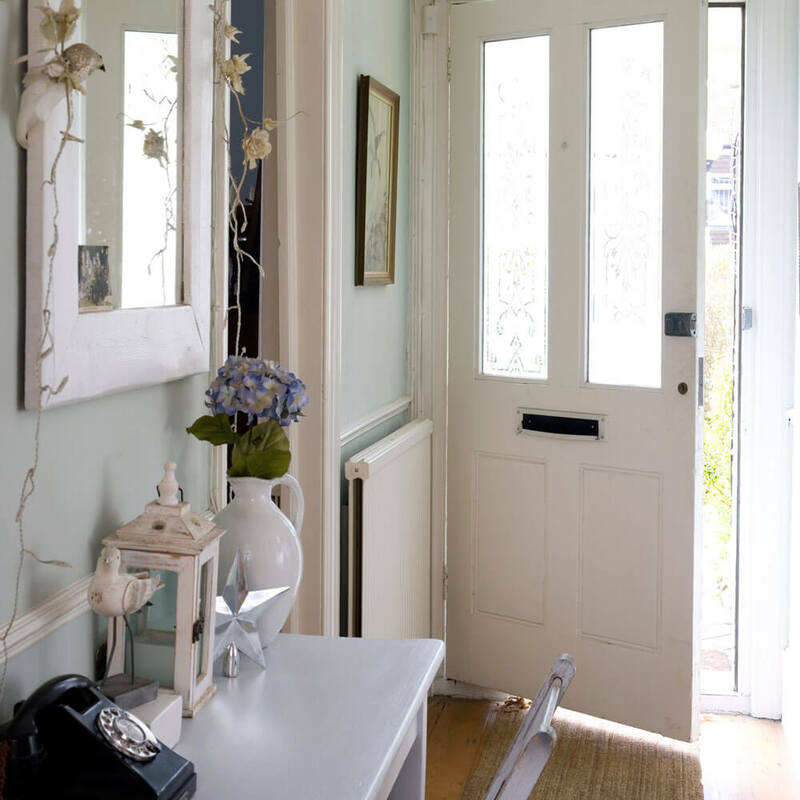 The hallway is that room of the house which is basically the place that is just behind the main door of the home and guest first appear in this area in order to get in the living or any other rooms of the house so it is very important to keep the hallway decorated. Well, plants seem to be very beautiful especially if they are flowering plants and having plants around you would make sure that the air surrounding you is fresh as well as pollution free because plants actually filter polluted air and provide fresh oxygen which is very healthy for our body. 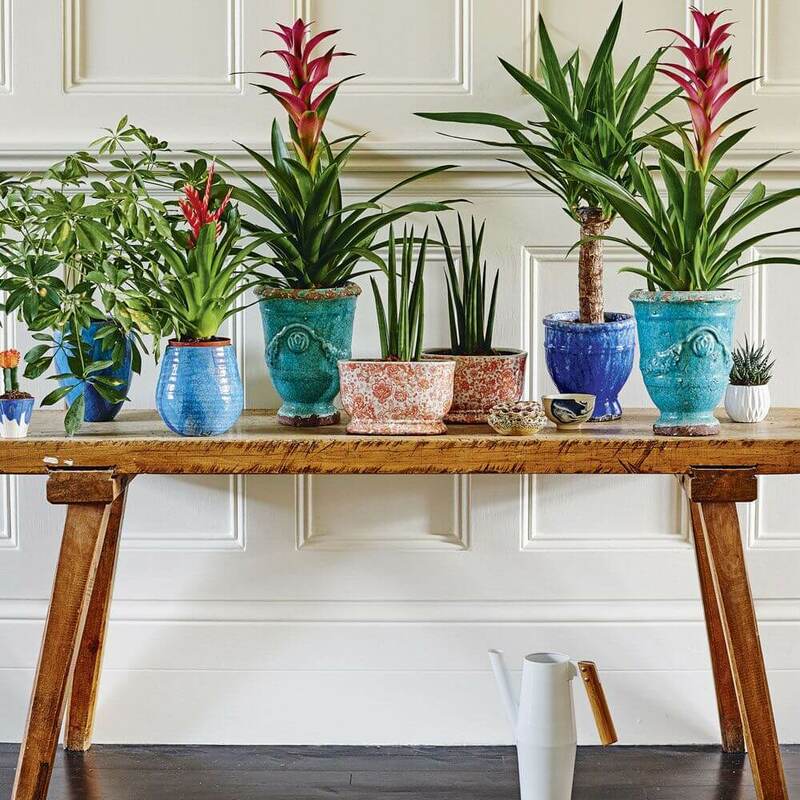 So what you can do here is that you need to have a wooden table or you can literally use any old table of your home and in order to make it appear beautiful just color it and then you would need to get your hands on plant pot and of course your favorite plants and you can also color the pots and then just arrange them one after another on the table that’s it. 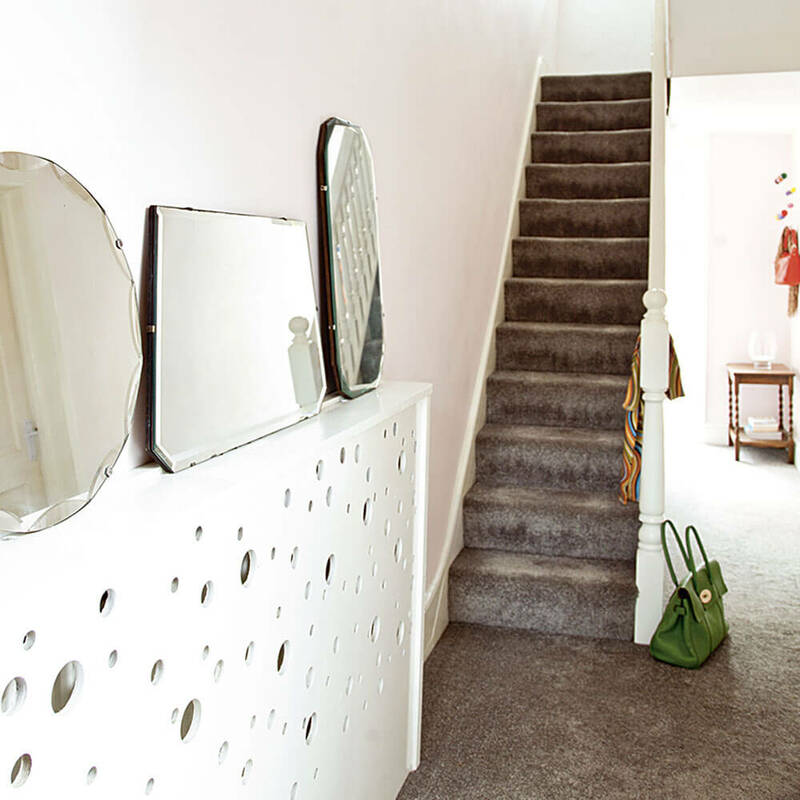 Well, it would not only make your hallway beautiful but would also make it as well as following rooms clean so you don’t have to give extra efforts in cleaning up things. 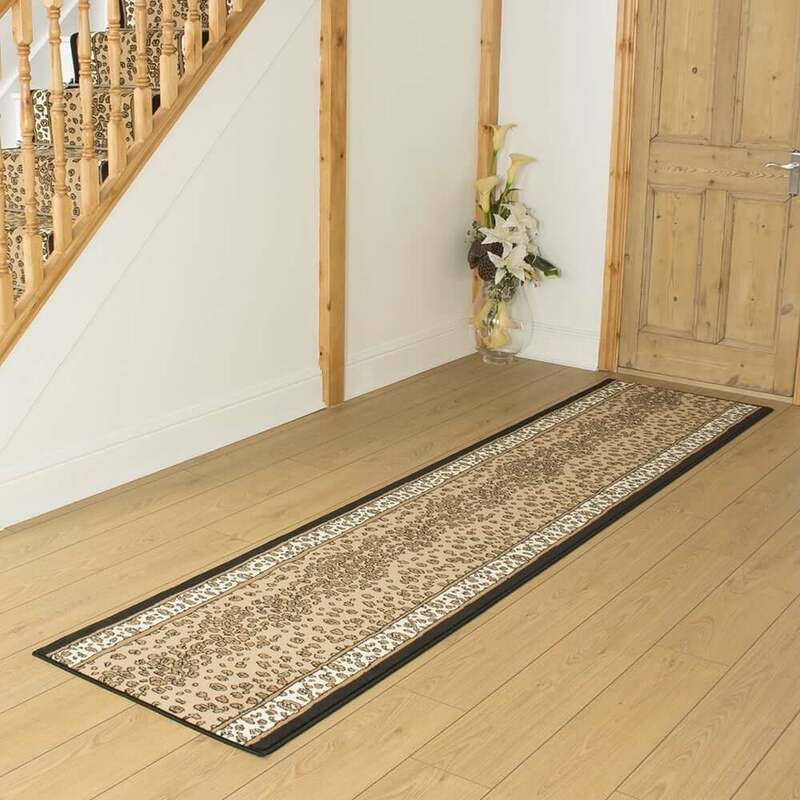 So here the idea is to get a large mat probably a designed one and you would have to place it just at the main door and the mat needs to be long enough to cover the way up to another room. Honestly walking down the designed mat would give every walker a royal feeling for sure and your guests would enjoy that for sure. the best thing is that you can always change the mat and have a new one whenever you want. This is the best way to let the guest know a little bit more about you as well as about your family and it is a great way to keep the narrow hallway decorated as well. 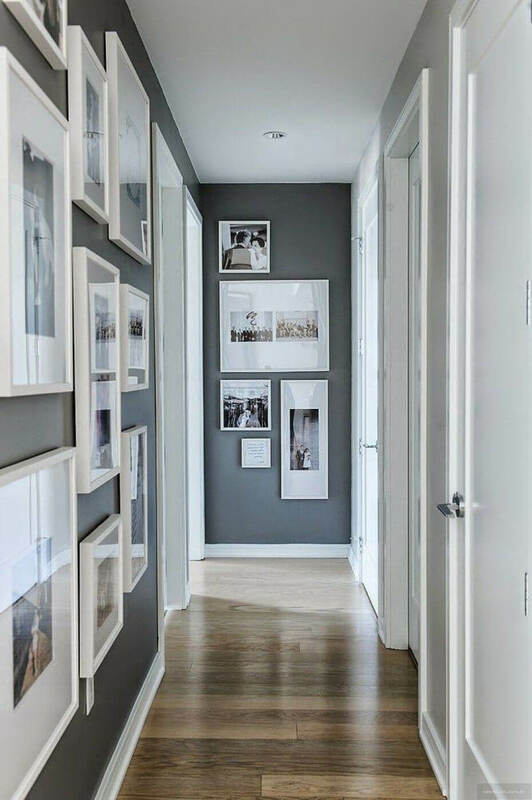 here you would have to target the walls and the trick here is to get single wall to speak the story about an individual of the house through the pictures so you have to dedicate one wall to one person and here you would have to attach some pictures related to you or any person of the house. 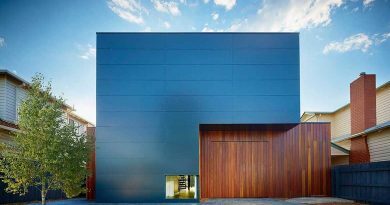 any visitor would be able to see the pictures while he/she would walk in the hallway and proceed towards any room of the house. Decorative is the best thing to beautify the basic walls of the hallway and you can also get some decorative items in order to decorate the hallways. You don’t have to get expensive things a combination of some old things can do the trick and can make the place appear beautiful as well. 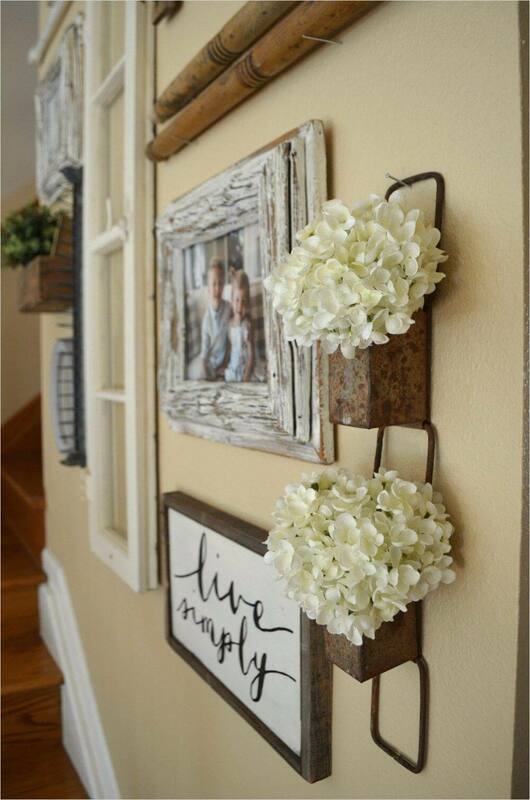 here you can get an iron holder on which you can put some real or artificial flowers and besides that, you can also attach a quotation in a frame so reading that the visitor would get positive vides from your home. Well, this is an effective trick and the best thing about this trick is that this literally brings a smile on the face of your visitor. everyone loves watching themselves and the mirror but only a few admit that. Here you would have to hand a mirror on the adjacent wall of the hallway so anyone who enters in could be able to see his/her reflection of the mirror and watching their own image would make them smile for sure. To make this concept more interesting you can write small messages just above the mirror such as “reflection of a pretty soul” or many other messages as well. 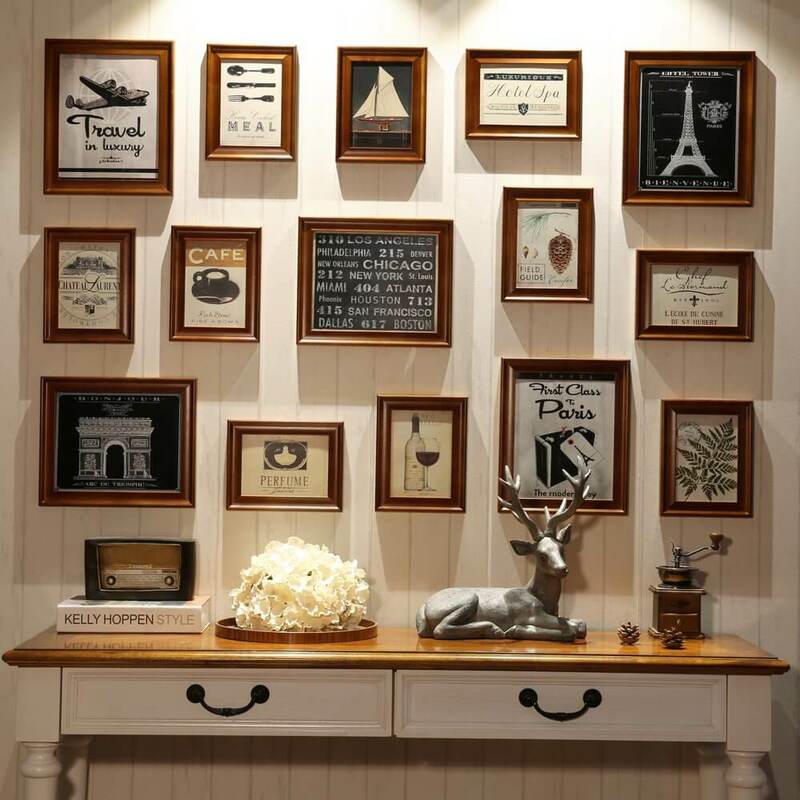 You can literally paste some wallpapers on the wall of the hallway and upon that you can add some bold huge wooden buttons and also you can have a slab like an object beneath as this would make the place look beautiful. 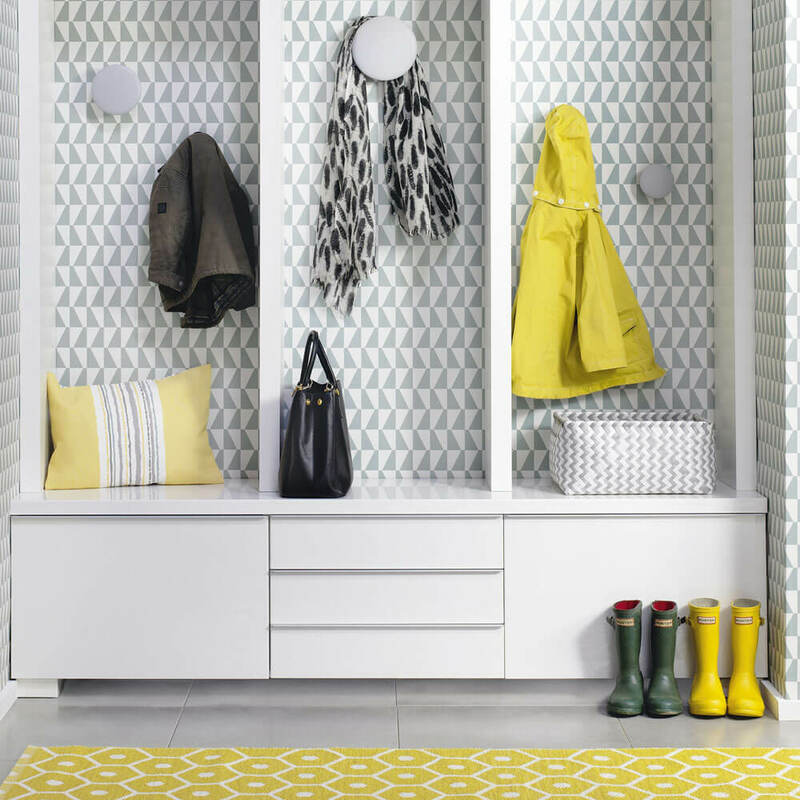 The purpose of adding this in the hallway is that the guest or the visitors of your home can put their stuff such as raincoat, umbrella, shoes, bags etc at the place and to keep things organized they can use the wooden buttons to hand their stuff up. The slab can be used to sit and wear boat or any shoe and can also be used to keep other things as well. Well this is an intelligent idea to keep the space fuller as well occupied and in this way your home would be saved from some person as well. Many people visit in our home for different purposes and we may not like or feel safe to get them into our home so for them you can set sitting chairs at the hallway so while they visit your home for any work you can make them sit in the hallway and you would not need to make them entire into your personal space. 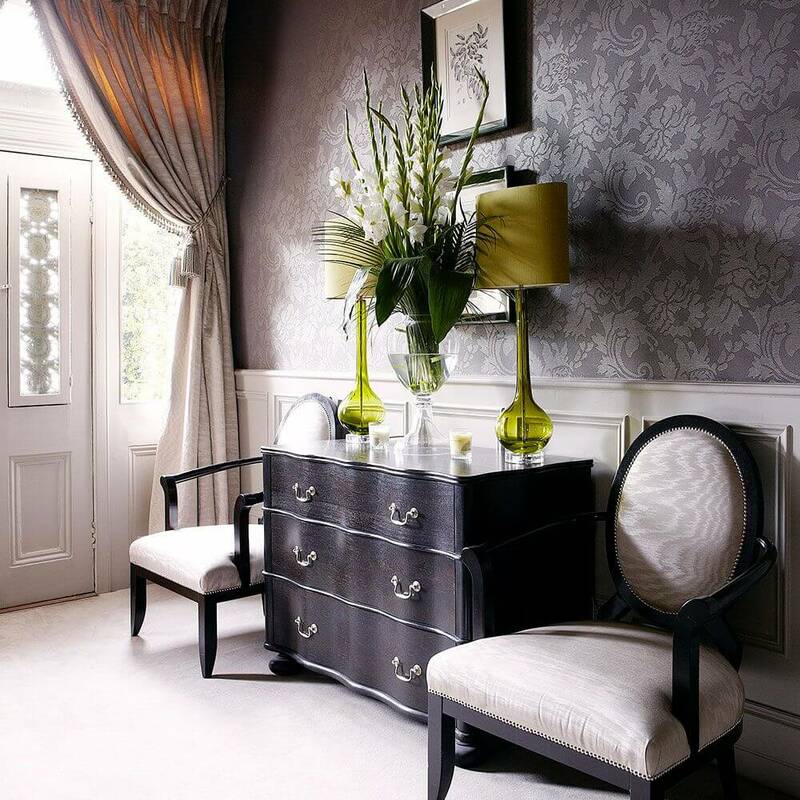 Moreover, furniture also makes the place look beautiful which seems to be a good thing. 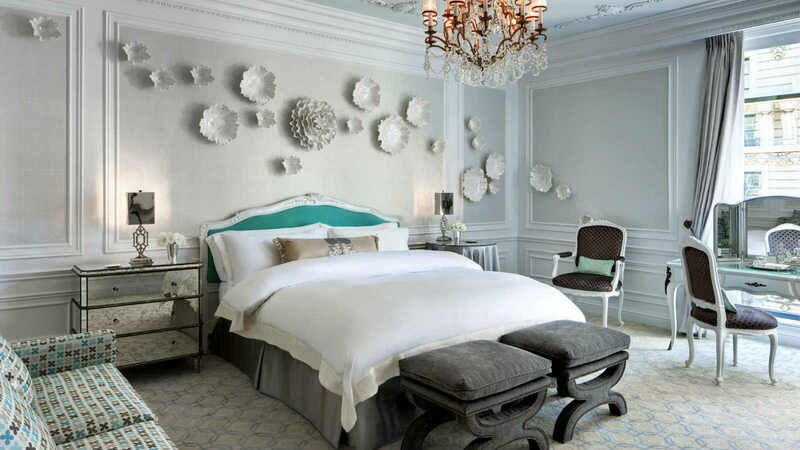 White is always a great option when you find nothing to keep the place beautiful and its one such shade which suits in everywhere and you can also have different colors and white goes well with almost every color. Here you can have walls. Roof, as well as the floor in white color but the stairs, can be of any dark color such green or grey and altogether this combination would make your hallway look gorgeous as well as simple at the same time. 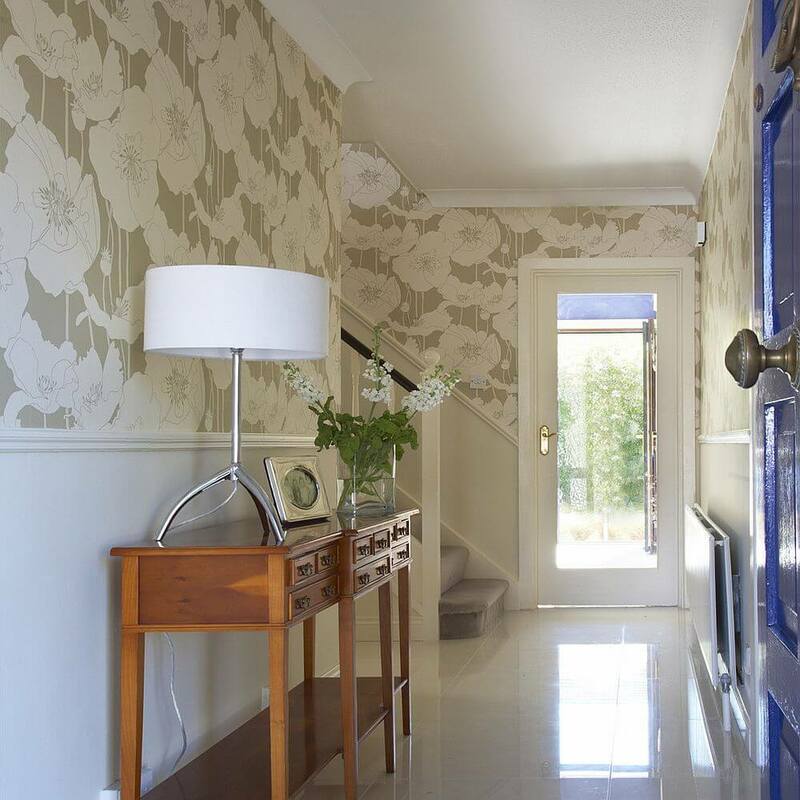 Wallpapers are inexpensive and are a great way to make any room beautiful and here also you can get some floral or botanical designed wallpaper as they suit the best in the hallway and the design would sooth every visitor for sure and also these designs are unique and beautiful as well. The best thing about getting wallpapers is that you can change them whenever you want to. This is the only way to keep the guests attracted toward the hallway and also in this way you would be able to make the hallway look beautiful. It is not necessary to get your or your family member’s photos here rather you can use any picture that tells a story, quotations, and many more things. This would make the wall engaging and would attract eyes as well and going through those pictures, quotations, as well as messages, would make anyone fill with positivity. Organized things look the best and also it makes the place pretty and neat at the same time and your hallway also needs to be organized. Here are certain things like our go-to everyday cap, umbrella, bag etc and we often tend to keep these things here and there at the hallway which literally makes the hallway look worse. So here you can add a hanger attached to the wall on which you can hang these things and many others as well. These were few best hallway ideas to make the place appear beautiful and you can also find more such ideas at Architectures ideas.